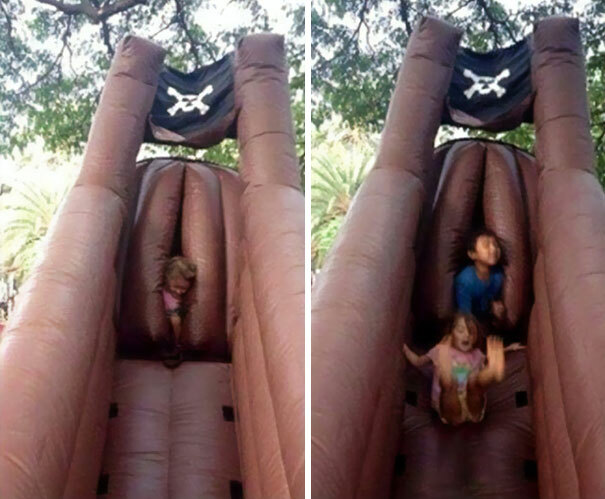 20 Hilarious Playground Design Fails That Are Completely Inappropriate! Everyone has got to have fond memories of playing on their favourite playground when they were kids, right!? I’m betting you all had a favourite ‘ride’ on there too!? That first piece of slightly dangerous apparatus that you ran at full speed towards before anyone else could steal it from you! 1. Off to a great start, here! You know when I said that you’d know exactly what we meant!? Well, one picture in and I’M already lost for words, so god help you guys! Who in their right mind thought this was appropriate for children!? Mind you, to be fair, that is kind of how kids get born, isn’t it? 2. Errrr, Pikachu…what’s wrong with you!? Oh dear, oh dear, I’m still lost for words! I guess you could sort of get away with the previous one, but this is just BLATANT FILTH. 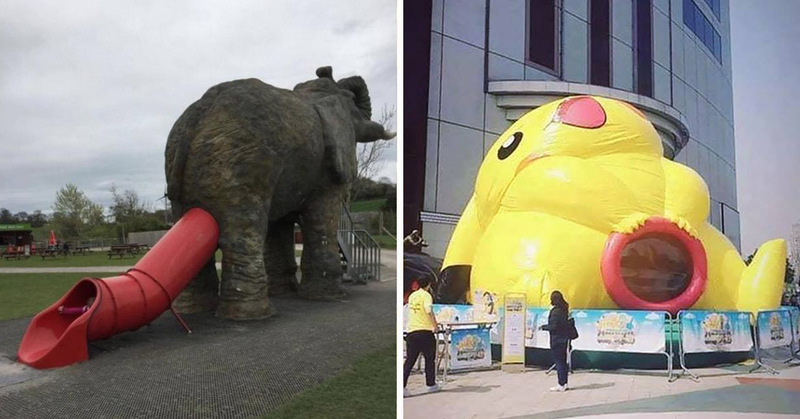 Put it away Pikachu, no one wants to see that, never mind go inside it! Eeek!